The head of the Judges Club Ahmed El-Zend was leaving the club’s headquarters in downtown Cairo on Sunday evening when 15 people began hurling verbal insults and rocks at him. "When he tried to get inside his car, the group began throwing stones hitting him in the head and damaging his car," according to Judge Mohamed Abdel-Hady who witnessed the assault. Judges inside the club also heard gunshots “but they didn’t know if the attackers were firing live ammunition or just blanks, so they went out to investigate,” Abdel-Hady added. “One of them saw that Judge El-Zend was being attacked but when he tried to help, they threatened to attack him too so he backed away." At this point, twenty judges came out of the club and managed to arrest three of the attackers. The three apprehended assailants were Abdel Rahman Eissa, a Palestinian national, Khaled Abdel Rahman, an Egyptian from the governorate of Gharbiya and Mahmoud Metwalli from Shubra. El-Zend suffered facial bruises and a cut under one of his eyes. He was transferred to the Egypt International Hospital, where he remained under observation for four hours. “These childish acts will not hurt us and we will fight these attempts to kidnap the nation,” El-Zend said in a press conference following the incident. In an interview with the 10 O’clock program on Dream TV El-Zend questioned the presence of non-Egyptians in the protests. “If these protesters are Egyptian then they have a cause they are fighting for, even if we disagree with them,” he said. “But why would protesters of another nationality organise a protest in front of the Judges' Club. Who is behind them? Who sent them?” he added. 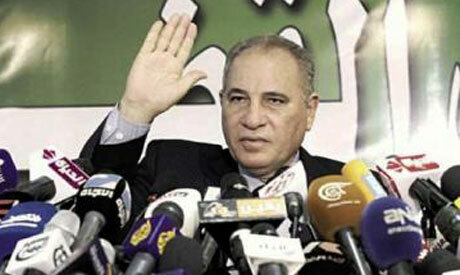 El-Zend is a staunch opponent of President Mohamed Morsi and the Muslim Brotherhood. The Judges Club, which El-Zend leads, had voted overwhelmingly to boycott judicial supervision of the recent referendum on the constitution. El-Zend also led a recent national strike by judges against Morsi's defunct constitutional declaration of 22 November, and opposed Morsi's appointment of Prosecutor-General Talaat Abdallah. I thought judges are not to be political? What happened to being not involved in politics? I hope there is a law or clause to get rid of someone like this? The chairman of the Judges club is not a politician but he wannted te be a president of Egypt. look very funny.